1. First, the film is only 01:35:00, so it's barely a film. More of an after-school special. 2. Second, it diminishes my impression of Chesley "Sully" Sullenberger as a hero (who was on a quiet glide path in my mind) by somewhat demonizing the NTSB. Fine or hapless as they were, I do not care; why borrow trouble now, seven years on, by portraying the investigation in such a one-sided way? Essentially, by 'making bad guys' out of guys who were, I imagine, just doing their job? It feels cherry-picked. As Sully said on Nightline last night, "They were not antagonistic people. They were individuals simply doing their job. But the process is antagonistic." Hmm. Okay. Anyway, Eastwood's characterization of the whole affair feels like a speck of mud on an otherwise and heretofore, a-hem, unsullied figure. 4. The water landing itself, which was really spectacular (and remarkable because its damage was so unremarkable), is portrayed in bits and pieces approximately five times. "Uh, I get it. Next." Moreover, because it was so successful, I sorta got the "nothing to see here, move along" vibe. It's about as exciting as watching people de-plane up a jetway. This one just happens to lead to boats. 5. When asked on Nightline whether Sully had been helpful in preparing for his role, Hanks replied, "Uh, helpful. That's an interesting word. I would say descriptive." So would I. The film is highly procedural, recounting the events and facts just fine, but along the way it simply falls flat. Mid-air. There are 1-2 scenes that had me riveted, but they evaporate within 1-2 minutes, and that's a shame. 6. It features Laura Linney. If ever there was a screeching, shrill actress who could jeopardize 90 subsequent minutes of the otherwise bulletproof Downton Abbey, it was Laura. Like liver pâté before chocolate pie. Same deal here. 7. Sullenberger recently shared some amazing technical details with Charlie Rose about the water landing, none of which made it into the film. I have no idea why not. Here are some of them: “In the first few seconds after the bird strike, I remember vividly my first three conscious thoughts. First, this can’t be happening. Second, this doesn’t happen to me. Third, unlike every other flight I’ve had for 42 years, this one will not end on a runway with no aircraft damage, and I’m okay with that.” He continued, “If we had touched with one wing too low, it would have hit the water and spun us around. If we had landed with too great a rate of descent, we would have blown apart on impact. If we had misjudged the height at which to begin the landing—even by a fraction of a second—coming down at the rate of two elevator floors per second, as we were, it would have been disastrous. Depth perception is difficult approaching featureless water. I was judging the height, raising the nose, trading forward velocity for height…too slow, too late, too fast, anything could have been disastrous. I began to pull stick-back, seeing the world rushing up at us and knowing...NOW!" He concludes, “I was shooting for 10° nose-up. The data recorder says I got to 9.8. Just another quarter of a second and we would have been off. I was shooting for 0° of bank. My right wing was down ½ of one degree.” Every morsel of that should have been included in Sully. It would have made for a wonderful “You can’t handle the truth” film moment. I love heroic stories, particularly true ones, and patriotic ones all the more (the sort that unify the nation during an otherwise miserable '08-'09). 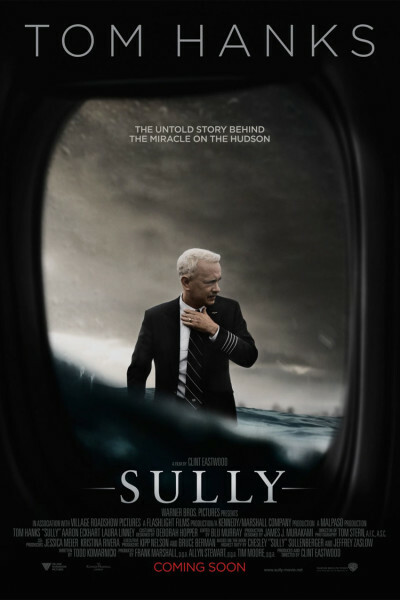 Sullenberger did a phenomenal job that day. I only wish the film had done him justice, and soared instead of tanked.